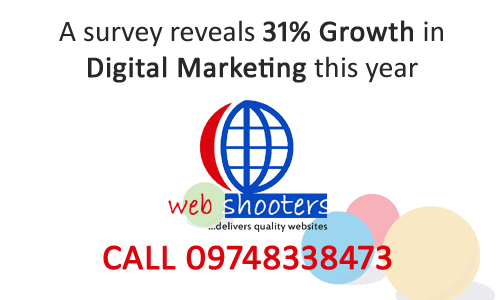 According to a survey 31% Growth in #DigitalMarketing is monitored. Do not let the opportunity go as most of the people now a days are digitally biased and net savvy. To enjoy the benefit of a #website call us at 09748338473. NextAffordable business website developers from Kolkata!